New Orleans-Style Shaved Ice Snowball Stand Opening In Meatpacking District! – Darnell TheNewsMan!! 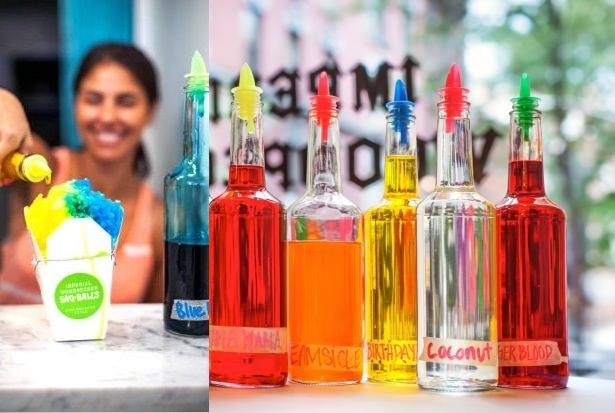 New Orleans-Style Shaved Ice Snowball Stand Opening In Meatpacking District! A summertime taste of the South is headed to the Meatpacking District. The traveling food vendor Imperial Woodpecker Sno-Balls will sell New Orleans-style shaved ice treats from a stand on Gansevoort Street starting later this month. The “snowballs,” as they’re called down South, will be sold at 54 Gansevoort St. near Ninth Avenue and will be available in 44 flavors, including traditional offerings like Mardi Gras King Cake and bananas Foster, along with more unusual options like watermelon jalapeño, chicory coffee, grapefruit and wedding cake. The treats cost $4 for a small, $5 for a medium and $6 for a large, plus an extra dollar for sweetened condensed milk, marshmallow cream or vanilla ice cream. The Meatpacking District stand is set to be open Tuesday through Sunday from noon to 8 p.m., through September. The snowballs are also sold at the Hester Street Fair on Saturdays from 10 a.m. to 6 p.m. through Oct. 26.